Erno Laszlo Sea Mud Deep Cleansing Bar (full size): I know that most people shun soap type cleansers, but this one is free from phthalates, mineral oil, parabens and petrolatum. It also contains glycerin, which is a hydration magnet. I actually already have a mini of this cleansing bar, which I received in a beauty box earlier this year and my husband loves to use it as it really suits his combination skin. I've also used it to clean my makeup brushes and it works really well. Elemis Pro-Collagen Overnight Matrix Marine Cream (deluxe size): An overnight moisturiser that aims to nourish, firm and protect the skin. I haven't actually tried this yet but love the Pro-Collagen range, in general, so I have high hopes! Laura Geller Dewdreamer Illuminating Drops (full size): There are a few shades available so I can't say for certain which one you will receive. I love these drops because they can be used under foundation, mixed with foundation to create a glowy base or used over foundation as a traditional highlighter. They are quite runny and very pigmented so use a small amount initially until you find what works best for you. Color WOW Colour Security Shampoo and Dream Coat Supernatural Spray (deluxe size): I've raved about the Dream Coat spray previously here. It's a brilliant product for anyone who has hair that is prone to frizz because it seals the hair strand, to protect it. It lasts for around 2/3 washes and it doesn't feel heavy in the hair or make it either brittle or greasy. I'm looking forward to using the shampoo because anything that promises to extend my colour, will always be a winner in my book! AromaWorks Eye Serum (full size): This can be used as both an eye serum and an eye mask, if left on overnight. It is packed with hyaluronic acid, which will plump the under eye area. It also smells amazing as it contains sweet carrot, bergamot, sweet rose and frankincense. bareMinerals Good Hydrations Silky Face Primer (full size): A primer that is perfect for dry or dehydrated skin. It won't fill pores so not great for combination or oily skin but for my dry skin, it's perfect! Foreo Luna Play in Pale Pink: A silicone cleansing brush that also exfoliates and is waterproof so can be used in the shower. If you generally find cleansing brushes to be too harsh for your skin, it's worth trying one of these. I love that there's a variety of hair, makeup and skin products in the collection and the value cannot be beaten - £250 of products for only £65! Although not everything is full sized, the ones that aren't are deluxe and there is enough product in each one to really test and decide whether to buy the full size. It is bound to sell out, so order today if you want to grab one for yourself or a (lucky!) loved one! 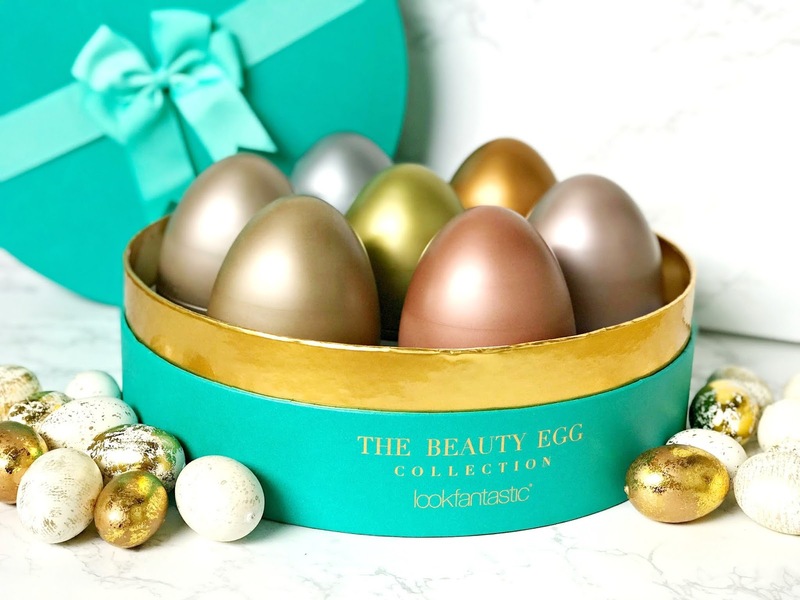 If you do decide to buy one, share it on social media with the hashtag #LFBEAUTYEGG and tag Look Fantastic to be in with a chance of winning a bundle worth £200! If you subscribe to the Look Fantastic Beauty Box, you can save £10 on the Beauty Egg and if you don't subscribe to the box, but want to, now is the time to do it! 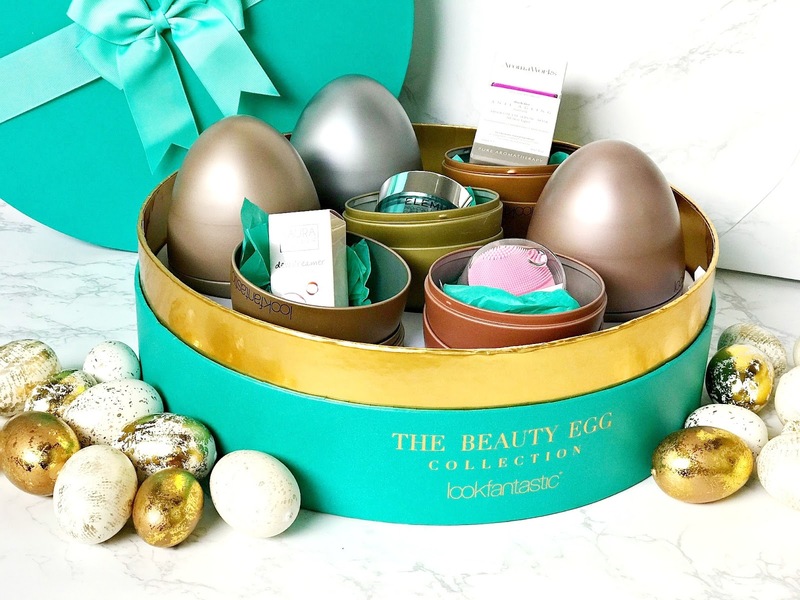 Add the subscription period of your choice - 3, 6 or 12 months, to your basket with the Beauty Egg and if you use the code BEAUTYEGGBB at the checkout to receive a £10 discount. Another great box! I'm particularly excited to use the Emma Hardie moisturiser as I'm a massive fan of the brand. The products have a value of £58 and the box is priced at £13. Will you be buying this for a loved one or as a treat for yourself? Would you prefer a beauty egg or chocolate egg for Easter? All products are bought by me, unless otherwise stated. This collection was kindly sent to me. Opinion is always my own. Affiliate links may be used.